Send Floral Fireworks to your favorite patriot or serviceman this summer with the O, Beautiful cube arrangement! 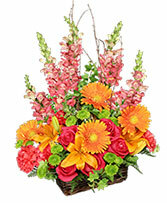 Use this arrangement as a table centerpiece for your summer block parties, cookouts, or just to brighten a room. 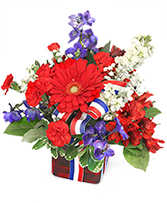 Featuring a stunning red gerbera daisy and elegantly surrounded by blue delphinium, white stock, and red mini carnations, this arrangement is sure to bring joy to any patriot's face. 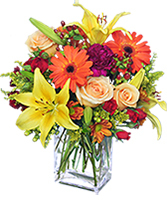 The price difference reflects a 4X4" & a 5X5" cube with added flowers. 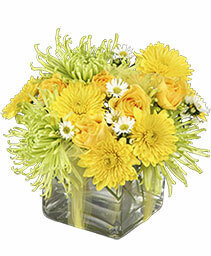 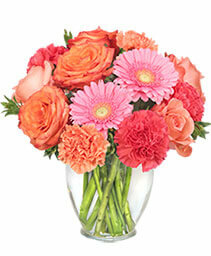 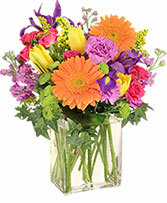 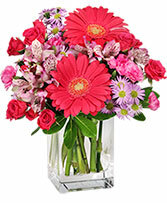 Capture their attention with these springtime flowers! 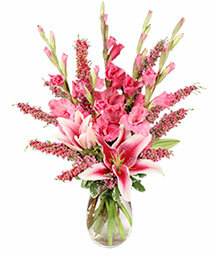 Yellow, pink, and hot pink alstroemeria make the perfect spring arrangement. 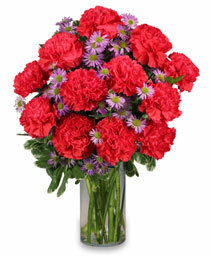 I recommend the $75.00 arrangement. 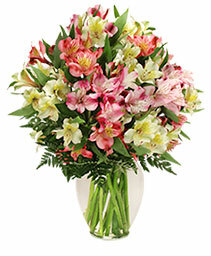 It is in a 9" ginger vase with a very nice display of the alstroemeria. 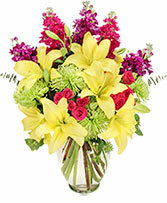 This is a popular arrangement and lasts a long time.